Hospitals and other healthcare facilities depend on a variety of catheters, tubing and syringes to deliver medications and other substances to patients through vascular, enteral, respiratory, epidural and intrathecal delivery systems. These delivery systems frequently employ fittings called Luer connectors to link various system components. The male and female components of Luer connectors join together to create secure yet detachable leak-proof connections. Multiple connections between medical devices and tubing are common in patient care. Unfortunately, because Luer connectors are ubiquitous, easy-to-use and compatible between different delivery systems, clinicians can inadvertently connect wrong systems together, causing medication or other fluids to be delivered through the wrong route. Such errors have occurred in diverse clinical settings, causing serious patient injuries and deaths. The Food and Drug Administration (FDA), The Joint Commission (TJC), the Institute for Safe Medication Practices (ISMP), the United States Pharmacopeia (USP), the ECRI Institute and others have all received reports of misconnection errors. The problem is well-known and well documented. Yet despite efforts on the part of FDA and other organizations to reduce misconnections through education, protocol and monitoring, the use of Luer connectors in incompatible medical delivery systems continues to create situations where dangerous misconnections can, and do, occur. To further reduce the occurrence of these misconnections, FDA is actively participating in an international effort to develop and implement standards for noninterchangeable connectors for small bore medical connectors. A joint working group established by the International Organization for Standardization (ISO) and the International Electrotechnical Commission (IEC) leads this effort to develop a series of standards for incompatible connectors used in intravascular (IV), breathing systems, enteral, urethral/urinary, cuff inflation and neuraxial applications. Once implemented, these connectors will facilitate correct connections and eliminate incompatible tubing misconnections. Until standards are completed and manufacturers design and produce products that can’t be misconnected, all interested parties must continue their efforts to keep these dangerous misconnections from happening. “Actions must be taken at the patient bedside, within all levels of health care organizations and throughout the channels of regulation, manufacturing and distribution of these devices in order to eradicate the serious problem of tubing misconnections,” said Peter B. Angood, M.D., Vice President and Chief Patient Safety Officer for The Joint Commission (TJC). These Medical Device Safety photos are one of those efforts. These photos provided a graphic depiction of misconnection cases that have occurred, coupled with recommendations from TJC on ways to prevent these types of errors. We hope you’ll post these Medical Device Safety photos as a reminder to staff that these errors can occur in any clinical setting. We also urge you to use the case synopses and recommendations as ongoing training materials. To that end, we have made the photos, case studies and additional resources available, free of charge, at http://www.fda.gov/cdrh/luer. We encourage you to visit this web site to download and make further use of these materials. Let’s continue to work together to prevent these tragic errors. A medical device is an instrument, apparatus, implant, in vitro reagent, or other similar or related article, which is intended for use in the diagnosis of disease or other conditions, or in the cure, mitigation, treatment, or prevention of disease, or intended to affect the structure or any function of the body and which does not achieve any of its primary intended purposes through chemical action within or on the body. Whereas medicinal products (also called pharmaceuticals) achieve their principal action by pharmacological, metabolic or immunological means, medical devices act by other means like physical, mechanical, thermal, physico-chemical or chemical means. Medical devices include a wide range of products varying in complexity and application. Examples include tongue depressors, medical thermometers, and blood sugar meters. The global market of medical devices reached roughly 209 billion US Dollar in 2006 and is expected to grow with an average annual rate of 6–9% through 2010. Based on the “New Approach”, rules relating to the safety and performance of medical devices were harmonised in the EU in the 1990s. The “New Approach”, defined in a European Council Resolution of May 1985, represents an innovative way of technical harmonisation. It aims to remove technical barriers to trade and dispel the consequent uncertainty for economic operators allowing for the free movement of goods inside the EU. Directive 98/79/EC regarding in vitro diagnostic medical devices. They aim at ensuring a high level of protection of human health and safety and the good functioning of the Single Market. These 3 main directives have been supplemented over time by several modifying and implementing directives, including the last technical revision brought about by Directive 2007/47 EC. Diagnosis, monitoring, treatment, alleviation of or compensation for an injury or handicap. The government of each Member State is required to appoint a Competent Authority responsible for medical devices. The Competent Authority (CA) is a body with authority to act on behalf of the government of the Member State to ensure that the requirements of the Medical Device Directives are transposed into National Law and are applied. The Competent Authority reports to the Minister of Health in the Member State. • The Competent Authority in one Member State does not have jurisdiction in any other Member State, but they do exchange information and try to reach common positions. Medical devices must not be mistaken with medicinal products. In the EU, all medical devices must be identified with the CE mark. intended to affect the structure or any function of the body of man or other animals, and which does not achieve any of its primary intended purposes through chemical action within or on the body of man or other animals and which is not dependent upon being metabolized for the achievement of any of its primary intended purposes. The term medical devices, as defined in the Food and Drugs Act, covers a wide range of health or medical instruments used in the treatment, mitigation, diagnosis or prevention of a disease or abnormal physical condition. Health Canada reviews medical devices to assess their safety, effectiveness and quality before being authorized for sale in Canada. The regulatory authorities recognize different classes of medical devices, based on their design complexity, their use characteristics, and their potential for harm if misused. Each country or region defines these categories in different ways. The authorities also recognize that some devices are provided in combination with drugs, and regulation of these combination products takes this factor into consideration. The Medical Devices Bureau of Health Canada has recognized four classes of medical devices based on the level of control necessary to assure the safety and effectiveness of the device. Class I devices present the lowest potential risk and do not require a licence. Class II devices require the manufacturer’s declaration of device safety and effectiveness, whereas Class III and IV devices present a greater potential risk and are subject to in-depth scrutiny. A guidance document for device classification is published by Health Canada . Canadian classes of medical devices generally correspond to the European Council Directive 93/42/EEC (MDD) devices as follows: Class IV (Canada) generally corresponds to Class III (ECD), Class III (Canada) generally corresponds to Class IIb (ECD), Class II (Canada) generally corresponds to Class IIa (ECD), and Class I (Canada) generally corresponds to Class I (ECD) . Examples are surgical instruments (Class I); contact lenses, ultrasound scanners (Class II); orthopedic implants, hemodialysis machines (Class III); and cardiac pacemakers (Class IV) . The Food and Drug Administration has recognized three classes of medical devices based on the level of control necessary to assure the safety and effectiveness of the device. 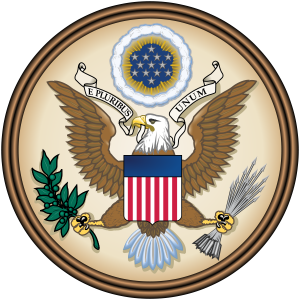 The classification procedures are described in the Code of Federal Regulations, Title 21, part 860 (usually known as 21 CFR 860). Class I devices are subject to the least regulatory control. Class I devices are subject to “General Controls” as are Class II and Class III devices. General controls include provisions that relate to adulteration; misbranding; device registration and listing; premarket notification; banned devices; notification, including repair, replacement, or refund; records and reports; restricted devices; and good manufacturing practices. Class I devices are not intended for use in supporting or sustaining life or to be of substantial importance in preventing impairment to human health, and they may not present a potential unreasonable risk of illness or injury. Most Class I devices are exempt from the premarket notification and/or good manufacturing practices regulation. Examples of Class I devices include elastic bandages, examination gloves, and hand-held surgical instruments. Class II devices are those for which general controls alone are insufficient to assure safety and effectiveness, and existing methods are available to provide such assurances. In addition to complying with general controls, Class II devices are also subject to special controls. A few Class II devices are exempt from the premarket notification. Special controls may include special labeling requirements, mandatory performance standards and postmarket surveillance. Devices in Class II are held to a higher level of assurance than Class I devices, and are designed to perform as indicated without causing injury or harm to patient or user. Examples of Class II devices include powered wheelchairs, infusion pumps, and surgical drapes. A Class III device is one for which insufficient information exists to assure safety and effectiveness solely through the general or special controls sufficient for Class I or Class II devices. Such a device needs premarket approval, a scientific review to ensure the device’s safety and effectiveness, in addition to the general controls of Class I. Class III devices are usually those that support or sustain human life, are of substantial importance in preventing impairment of human health, or which present a potential, unreasonable risk of illness or injury. Examples of Class III devices which currently require a premarket notification include implantable pacemaker, pulse generators, HIV diagnostic tests, automated external defibrillators, and endosseous implants. The classification of medical devices in the European Union is outlined in Annex IX of the Council Directive 93/42/EEC. There are basically four classes, ranging from low risk to high risk. The authorization of medical devices is guaranteed by a Declaration of Conformity. This declaration is issued by the manufacturer itself, but for products in Class Is, Im, IIa, IIb or III, it must be verified by a Certificate of Conformity issued by a Notified Body. A Notified Body is a public or private organisation that has been accredited to validate the compliance of the device to the European Directive. Medical devices that pertain to class I (on condition they do not need to be sterilised or are not used to measure a function) can be put on the market purely by self-certification. The European classification depends on rules that involve the medical device’s duration of body contact, its invasive character, its use of an energy source, its effect on the central circulation or nervous system, its diagnostic impact or its incorporation of a medicinal product. Certified medical devices should have the CE mark on the packaging, insert leaflets, etc.. These packagings should also show harmonised pictograms and EN standardised logos to indicate essential features such as instructions for use, expiry date, manufacturer, sterile, don’t reuse, etc. In 2004, the FDA authorized marketing of two different types of medical devices that incorporate radio-frequency identification, or RFID. The first type is the SurgiChip tag, an external surgical marker that is intended to minimize the likelihood of wrong-site, wrong-procedure and wrong-patient surgeries. The tag consists of a label with passive transponder, along with a printer, an encoder and a RFID reader. The tag is labeled and encoded with the patient’s name and the details of the planned surgery, and then placed in the patient’s chart. On the day of surgery, the adhesive-backed tag is placed on the patient’s body near the surgical site. In the operating room the tag is scanned and the information is verified with the patient’s chart. Just before surgery, the tag is removed and placed back in the chart. The second type of RFID medical device is the implantable radiofrequency transponder system for patient identification and health information. One example of this type of medical device is the VeriChip, which includes a passive implanted transponder, inserter and scanner. The chip stores a unique electronic identification code that can be used to access patient identification and corresponding health information in a database. The chip itself does not store health information or a patient’s name. Companies developing RFID-containing medical devices must consider product development issues common to other medical devices that come into contact with the body, are implanted in the body, or use computer software. For example, as part of product development, a company must implement controls and conduct testing on issues such as product performance, sterility, adverse tissue reactions, migration of the implanted transponder, electromagnetic interference, and software validation. Medical devices that use RFID technology to store, access, and/or transfer patient information also raise significant issues regarding information security. The FDA defines “information security” as the process of preventing the modification, misuse or denial of use, or the unauthorized use of that information. At its core, this means ensuring the privacy of patient information. The FDA has recommended that a company’s specifications for implantable RFID-containing medical devices address the following four components of information security: confidentiality, integrity, availability and accountability (CIAA). Confidentiality means data and information are disclosed only to authorized persons, entities and processes at authorized times and in the authorized manner. This ensures that no unauthorized users have access to the information. Integrity means data and information are accurate and complete, and the accuracy and completeness are preserved. This ensures that the information is correct and has not been improperly modified. Availability means data, information and information systems are accessible and usable on a timely basis in the required manner. This ensures that the information will be available when needed. Accountability is the application of identification and authentication to ensure that the prescribed access process is followed by an authorized user. Although the FDA made these recommendations in the context of implantable RFID-containing medical devices, these principles are relevant to all uses of RFID in connection with pharmaceuticals and medical devices. Medical devices such as pacemakers, insulin pumps, operating room monitors, defibrillators, surgical instruments including deep-brain stimulators are being made with the ability to transmit vital health information from a patient’s body to doctors and other professionals. Some of these devices can be remotely controlled by medical professionals. There has been concern about privacy and security issues around human error and technical glitches with this technology. While only a few studies have been done on the susceptibility of medical devices to hacking, there is a risk. In 2008, computer scientists proved that pacemakers and defibrillators can be hacked wirelessly through the use of radio hardware, an antenna and a personal computer These researchers showed that they could shut down a combination heart defibrillator and pacemaker and reprogram it to deliver potentially lethal shocks or run out its battery. Jay Radcliff, a security researcher interested in the security of medical devices, raises fears about the safety of these devices. He shared his concerns at the Black Hat security conference. Radcliff fears that the devices are vulnerable and has found that a lethal attack is possible against those with insulin pumps and glucose monitors. Some medical device makers downplay the threat from such attacks and argue that the demonstrated attacks have been performed by skilled security researchers and are unlikely to occur in the real world. At the same time, other makers have asked software security experts to investigate the safety of their devices. As recently as June 2011, security experts showed that by using readily available hardware and a user manual, a scientist could both tap into the information on the system of a wireless insulin pump in combination with a glucose monitor. With a PIN access code of the device, the scientist could wirelessly control the dosage of the insulin. Anand Raghunathan, a researcher in this study explains that medical devices are getting smaller and lighter so that they can be easily worn. The downside is that additional security features would put an extra strain on the battery and size and drive up prices. Dr. William Maisel offered some thoughts on the motivation to engage in this activity. Motivation to do this hacking might include acquisition of private information for financial gain or competitive advantage; damage to a device manufacturer’s reputation; sabotage; intent to inflict financial or personal injury or just satisfaction for the attacker. Researchers suggest a few safeguards. One would be to use rolling codes. Another solution is to use a technology called “body-coupled communication” that uses the human skin as a wave guide for wireless communication. The ISO standards for medical devices are covered by ICS 11.100.20 and 11.040.01. The quality and risk management regarding the topic for regulatory purposes is convened by ISO 13485 and ISO 14971. ISO 13485:2003 is applicable to all providers and manufacturers of medical devices, components, contract services and distributors of medical devices. The standard is the basis for regulatory compliance in local markets, and most export markets. Further standards are IEC 60601-1, for electrical devices (mains-powered as well as battery powered) and IEC 62304 for medical software. The US FDA also published a series of guidances for industry regarding this topic against 21 CFR 820 Subchapter H—Medical Devices. Starting in the late 1980s  the FDA increased its involvement in reviewing the development of medical device software. The precipitant for change was a radiation therapy device (Therac-25) that overdosed patients because of software coding errors. FDA is now focused on regulatory oversight on medical device software development process and system-level testing. A 2011 study by Dr. Diana Zuckerman and Paul Brown of the National Research Center for Women and Families, and Dr. Steven Nissen of the Cleveland Clinic, published in the Archives of Internal Medicine, showed that most medical devices recalled in the last five years for “serious health problems or death” had been previously approved by the FDA using the less stringent, and cheaper, 510(k) process. In a few cases the devices had been deemed so low-risk that they did not need FDA regulation. Of the 113 devices recalled, 35 were for cardiovacular issues. This may lead to a reevaluation of FDA procedures and better oversight. Medical device packaging is highly regulated. Often medical devices and products are sterilized in the package. The sterility must be maintained throughout distribution to allow immediate use by physicians. A series of special packaging tests is used to measure the ability of the package to maintain sterility. Relevant standards include: ASTM D1585 – Guide for Integrity Testing of Porous Medical Packages, ASTM F2097 – Standard Guide for Design and Evaluation of Primary Flexible Packaging for Medical Products, EN 868 Packaging materials and systems for medical devices which are to be sterilized. General requirements and test methods, ISO 11607 Packaging for terminally sterilized medical devices, and others. Package testing needs to conducted and documented to ensure that packages meet regulations and all end-use requirements. Manufacturing processes need to be controlled and validated to ensure consistent performance. In addition, the cleanliness of re-usable devices has led to a series of standards, including the following: 1. ASTM E2314: Standard Test Method for Determination of Effectiveness of Cleaning Processes for Reusable Medical Instruments Using a Microbiologic Method (Simulated Use Test) 2. ASTM D7225: Standard Guide for Blood Cleaning Efficiency of Detergents and Washer-Disinfectors. The ASTM F04.15.17 task group is working on several new standards involving designing implants for cleaning, validation of cleanlines, and recipes for test soils to establish cleaning efficacy. Additionally, the FDA is establishing new guidelines for reprocessing reusable medical devices, such as orthoscopic shavers, endoscopes, and suction tubes. A number of specialist University-based research institutes have been established such as the Medical Devices Center (MDC) at the University of Minnesota in the US, the Strathclyde Institute Of Medical Devices (SIMD) at the University of Strathclyde in Scotland and the Medical Device Research Institute (MDRI) at Flinders University in Australia. Is There A GROUP PURCHASING ORGANIZATION (GPO) Conspiracy? Group purchasing organizations (GPOs) play an important role in the provision of health care services in the United States. As hospitals and other health care providers have come under pressure to reduce expenses, they have turned increasingly to GPOs to reduce the costs of the products and services they purchase. Today, virtually every hospital in the U.S. belongs to at least one GPO. More than seventy percent of all hospital purchases are made through GPO contracts, and GPOs contract for purchases with an annual value in the range of $150 billion. The fundamental purpose of a GPO is to allow its members to join together to leverage their purchasing strength in order to purchase goods and services at lower prices, which in turn should enable them to lower their costs and become more competitive in the provision of their own services. In its basic form, a GPO is a cooperative of buyers. Over time, however, GPOs have evolved significantly to offer other competition-enhancing programs such as networking, bench marking, and educational quality improvement programs. These functions are pro-competitive and consistent with antitrust policy – they offer GPO members increased efficiency, eliminate wasteful administrative duplication, and they increase competition between manufacturers/vendors, and within the hospital members’ own markets, which translate into lower prices and higher quality for consumers. At a time when increasing health care costs are a major policy concern, one would expect GPOs to be seen as a major force in the health care industry for increased efficiency and cost containment. In fact, GPOs currently are under attack from several different directions. On the political front, GPOs have come under attack by some manufacturers of medical devices that claim GPO contracting practices, including “sole-source contracts,” percentage of purchase or “market share” discounts, and multi-product or “bundled” discounts, favor large established manufacturers with the result that smaller companies with “innovative” products are effectively foreclosed from selling to a large number of the nation’s hospitals. These concerns have attracted the attention of the U.S. Senate, which held hearings last year scrutinizing GPO contracting practices; the Senate may hold additional hearings on GPOs in 2003. Similarly, the Federal Trade Commission (FTC) held a workshop last fall at which GPO contracting practices were a topic of discussion, and the FTC, together with the Antitrust Division of the Department of Justice (DOJ), are holding health care hearings in 2003 at which GPO contracting practices also are being discussed. Finally, a 2002 preliminary study by the General Accounting Office (GAO) raised questions about whether GPO contracts actually save hospitals money. GPO contracts also have been the subject of recent private litigation. In Kinetic Concepts, Inc. v. Hillenbrand Indus., Inc., a jury awarded more than $500 million in treble damages against a manufacturer of hospital beds that allegedly was using GPO contracts to exclude plaintiff, its competitor. In a suit more directly implicating GPO practices, Retractable Technologies, Inc. v. Becton Dickinson, et al., a manufacturer of safety syringes sued the two largest manufacturers of standard and safety syringes along with the two largest GPOs, alleging, among other things, a conspiracy between the GPOs and manufacturers to monopolize the needle and syringe market. The important role GPOs play in the delivery of health care services, and the criticism that has been directed at them, raise important issues under the antitrust laws. Are GPOs the agents of efficiency they claim to be, or, as their critics charge, have GPOs become a vehicle for dominant manufacturers to achieve and/or maintain monopoly power? This article analyzes GPO contracting practices under the antitrust laws and whether these practices are likely to result in anti-competitive effects. As this analysis will show, in general, GPO contracts promote significant efficiencies and are unlikely to result in sufficient market foreclosure to injure competition. The policy implications of this conclusion are clear: instead of increasing competition, restrictions on GPO contracting practices are likely to result in less competition and higher prices for health care consumers. I. History and Background of Group Purchasing Organizations Hospital GPOs trace their history back to the late 1800s, though the first known hospital GPO was the Hospital Bureau of New York, which appeared in 1910. Over the next half century, the GPO concept grew slowly and by the early 1970s there were forty hospital GPOs in the United States. The next thirty years witnessed an explosion of GPOs. From 1974 to 1999,the number of GPOs grew from forty to 633. Today, there are over 900 GPOs in the United States. While some of these are “child” GPOs that rely on contracts negotiated by larger “parent” GPOs, it is estimated that approximately 200 GPOs contract directly with suppliers, and that twenty-six of these operate on a national level. It is not a coincidence that GPOs began to grow in popularity in the late 1970s and early 1980s. During this time, for-profit hospital chains began to expand and buy up not-for-profit hospitals, forcing not-for-profits to find ways to cut costs to remain competitive. In the early 1980s, Medicare instituted the Prospective Payment System through which hospitals were reimbursed a fixed rate based on a defined service rather than the cost to the hospital of providing that service. At the same time, growing pressure in the private sector to reduce health care costs in the form of Health Maintenance Organizations (HMOs) and other types of managed care also reduced hospital reimbursement. These external market factors made it important for hospitals to control costs. Part of this effort included forming or joining a GPO to lower the cost of goods and services that the hospitals purchased. The hypodermic syringe, also known as the hypodermic needle, is a device used by medical professionals to transfer liquids into or out of the body. It is made up of a hollow needle, which is attached to a tube and a plunger. When the plunger handle is pulled back, fluids are drawn into the tube. The fluid is forced out through the needle when the handle is pushed down. The syringe was introduced in the mid 1800s and has steadily improved with the development of new materials and designs. Today, it has become such an important medical tool that it is nearly a symbol synonymous with the practicing physician. Since the advent of pharmaceutical drugs, methods for administering those drugs have been sought. Various important developments needed to occur before injections through a hypodermic syringe could be conceived. Early nineteenth century physicians were not aware that drugs could be introduced into the body through the skin. One early experiment that demonstrated this idea, however, was performed by Francois Magendie in 1809. In his published work, he outlined a method for introducing strychnine into a dog by using a coated wooden barb. In 1825, A. J. Lesieur described another method for administering drugs through the skin, applying them directly to blisters on the skin. Expanding on results from these experiments, G. V. Lafargue developed a procedure for introducing morphine under the skin using a lancet. A drip needle was invented by F. Rynd in 1844 for the same purpose. However, he did not publish his method until 1861, eight years after the first hypodermic syringe was described. The first true hypodermic syringe was created by Alexander Wood in 1853. He modified a regular syringe, which at that time was used for treating birthmarks, by adding a needle. He then used this new device for introducing morphine into the skin of patients who suffered from sleeping disorders. A few years later, he added a graduated scale on the barrel and a finer needle. These modifications were enough to attract the attention of the rest of the medical community, resulting in its more widespread use. Over the years hypodermic syringes have undergone significant changes that have made them more efficient, more useful, and safer. One such improvement was the incorporation of a glass piston within the cylinder. This innovation prevented leaks and reduced the chances of infections, making the device more reliable. The technology for the mass production of hypodermic syringes was developed in the late nineteenth century. As plastics developed, they were incorporated into the design, reducing cost and further improving safety. The way in which a hypodermic needle works is simple. 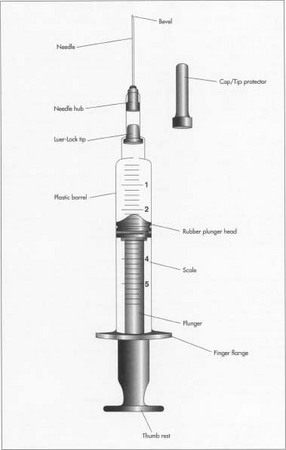 Fluid, such as a drug or blood, is drawn up through a hollow needle into the main tube when the plunger handle is pulled back. As long as the needle tip remains in the fluid while the plunger handle is pulled, air will not enter. The user can determine exactly how much material is in the tube by reading the measuring marks on the side of the tube. The liquid is dispensed out through the needle when the plunger handle is pushed back down. The term hypodermic syringe comes from the Greek words hypo, meaning under, and derma, meaning skin. These terms are appropriate because they describe exactly how the device functions. The needle is used to pierce the top layer of the skin, and the material in the tube is injected in the layer below. In this subcutaneous layer, most injected materials will be readily accepted into the bloodstream and then circulated throughout the body. 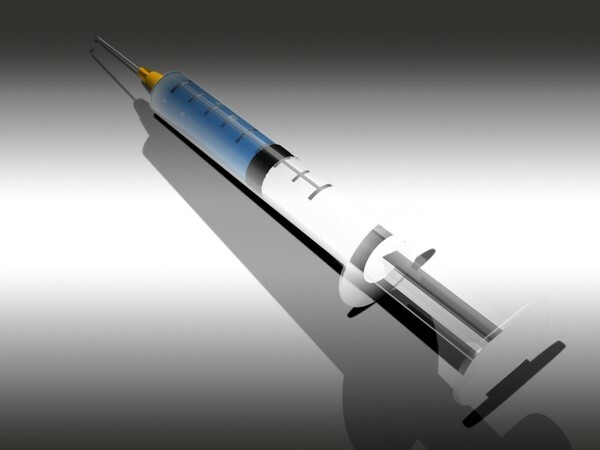 A syringe is one of three primary methods for introducing a drug into the body. The others are transepidermal (through the skin) and oral. Using a hypodermic needle as the method of drug administration has some significant advantages over oral ingestion. First, the drugs are protected from the digestive system. This prevents them from being chemically altered or broken down before they can be effective. Second, since the active compounds are quickly absorbed into the bloodstream, they begin working faster. Finally, it is more difficult for the body to reject drugs that are administered by syringe. Transepidermal drug administration is a relatively new technology, and its effects are generally not as immediate as direct injection. There are many hypodermic syringe designs available. However, all of them have the same general features, including a barrel, plunger, needle, and cap. 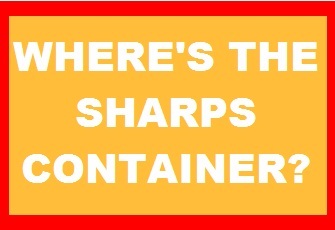 The barrel is the part of the hypodermic needle that contains the material that is injected or withdrawn. A movable plunger is contained within this tube. The width of the barrel is variable. Some manufacturers make short, wide tubes, and others make long, thin ones. The exact design will depend to some extent on how the device will be used. The end of the barrel to which the needle is attached is tapered. This ensures that only the desired amount of material will be dispensed through the needle. At the base of the barrel away from the needle attachment, two arms flare out. These pieces allow the needle user to press on the plunger with the thumb while holding the tube in place with two fingers. The other end of the barrel is tapered. The plunger, which is responsible for creating the vacuum to draw up materials and then discharge them, is made of a long, straight piece with a handle at one end and a rubber plunger head on the other. The rubber head fits snugly against the walls of the barrel, making an airtight seal. In addition to ensuring an accurate amount of material is drawn in, the squeegee action of the plunger head keeps materials off the inner walls of the tube. The needle is the part of the device that actually pierces the layers of the skin. Depending on how deep the injection or fluid extraction will be, the needle orifice can be thinner or wider, and its length varies. It can also be permanently affixed to the body of the syringe or interchangeable. For the latter type of system, a variety of needles would be available to use for different applications. To prevent accidental needle stick injuries, a protective cap is placed over the top of the needle when it is not in use. Since hypodermic syringes come in direct contact with the interior of the body, government regulations require that they be made from biocompatible materials which are pharmacologically inert. Additionally, they must be sterilizable and nontoxic. Many different types of materials are used to construct the wide variety of hypodermic needles available. The needles are generally made of a heat-treatable stainless steel or carbon steel. To prevent corrosion, many are nickel plated. Depending on the style of device used, the main body of the tube can be made of plastic, glass, or both. Plastics are also used to make the plunger handle and flexible synthetic rubber for the plunger head. There are many manufacturers of hypodermic needles, and while each one uses a slightly different process for production, the basic steps remain the same, including needle formation, plastic component molding, piece assembly, packaging, labeling, and shipping. Retraction of the plunger creates the vacuum to draw up materials, which can then be discharged by pushing on the plunger. Its rubber head makes an airtight seal against the walls of the barrel. Retraction of the plunger creates the vacuum to draw up materials, which can then be discharged by pushing on the plunger. Its rubber head makes an airtight seal against the walls of the barrel, drawn through a die designed to meet the size requirements of the needle. As it moves along the production line, the steel is further formed and rolled into a continuous, hollow wire. The wire is appropriately cut to form the needle. Some needles are significantly more complex and are produced directly from a die casting. Other metal components on the needle are also produced in this manner. 2. There are various ways that the syringe tube can be fashioned, depending on the design needed and the raw materials used. One method of production is extrusion molding. The plastic or glass is supplied as granules or powder and is fed into a large hopper. The extrusion process involves a large spiral screw, which forces the material through a heated chamber and makes it a thick, flowing mass. It is then forced through a die, producing a continuous tube that is cooled and cut. 3. For pieces that have more complex shapes like the ends, the plunger, or the safety caps, injection molding is used. In this process the plastic is heated, converting it into a liquid. It is then forcibly injected into a mold that is the inverse of the desired shape. After it cools, it solidifies and maintains its shape after the die is opened. Although the head of the plunger is rubber, it can also be manufactured by injection molding. Later, the head of the plunger is attached to the plunger handle. 4. When all of the component pieces are available, final assembly can occur. As the tubes travel down a conveyor, the plunger is inserted and held into place. The ends that cap the tube are affixed. Graduation markings may also be printed on the main tube body at this point in the manufacturing process. The machines that print these markings are specially calibrated to ensure they print measurements on accurately. Depending on the design, the needle can also be attached at this time, along with the safety cap. 5. After all of the components are in place and printing is complete, the hypodermic syringes are put into appropriate packaging. Since sterility of the device is imperative, steps are taken to ensure they are free from disease-causing agents. They are typically packaged individually in airtight plastic. Groups of syringes are packed into boxes, stacked on pallets, and shipped to distributors. The quality of the components of these devices are checked during each phase of manufacture. Since thousands of parts are made daily, complete inspection is impossible. Consequently, line inspectors randomly check components at fixed time intervals to ensure they meet size, shape, and consistency specifications. These random samples give a good indication of the quality of the hypodermic syringe produced. Visual inspection is the primary test method. However, more rigorous measurements are also performed. Measuring equipment is used to check the length, width, and thickness of the component pieces. Typically, devices such as a vernier caliper, a micrometer, or a microscope are used. Each of these differ in accuracy and application. In addition to specific tests, line inspectors are stationed at various points of the production process and visually inspect the components as they are made. They check for things such as deformed needles or tubes, pieces that fit together incorrectly, or inappropriate packaging. Hypodermic syringe production is strictly controlled by the United States government, specifically the Food and Drug Administration (FDA). They have compiled a list of specifications to which every manufacturer must comply. They perform inspections of each of these companies to ensure that they are following good manufacturing practices, handling complaints appropriately, and keeping adequate records related to design and production. Additionally, individual manufacturers have their own product requirements. Since Alexander Wood introduced the first device, hypodermic syringe technology has greatly improved. Future research will focus on designing better devices that will be safer, more durable, more reliable, and less expensive to produce. Also, improvements in device manufacture will also continue. One example of this is the trend toward utilizing materials such as metals and plastics that have undergone a minimum of processing from their normal state. This should minimize waste, increase production speed, and reduce costs. Chicka, C. and Anthony Chimpa. Diabetic’s Jet Ejectors. Diabetic Gun for Personal Insulin Injection. H.W. Parker, 1989. Trissel, Lawrence. Pocket Guide to Injectable Drugs: Companion to Handbook of Injectable Drugs. American Society of Health-System Pharmacists, 1994.